I was fortunate to be introduced to hot pads a few weeks ago. Carl & I had a family over for dinner and later the kids were going to spend the night. As the night progressed, I noticed the oldest child going back and forth to the microwave. I asked my friend, Kerri, “What is she putting in there?” “A hot pad,” she said. Ahh, the love affair was born. Hot pads are bags which are sewn and corn feed is put inside. It sounds like rice can be used too, but we used corn feed. My friend said the rice seems to be more damp when you get it out of the microwave. You can then heat the bags in the microwave and use them in a variety of ways. You can take heat them up and take them to bed with you. You can use them to keep food warm on the way to a potluck. They can be used for sore muscles or for monthly visitors. 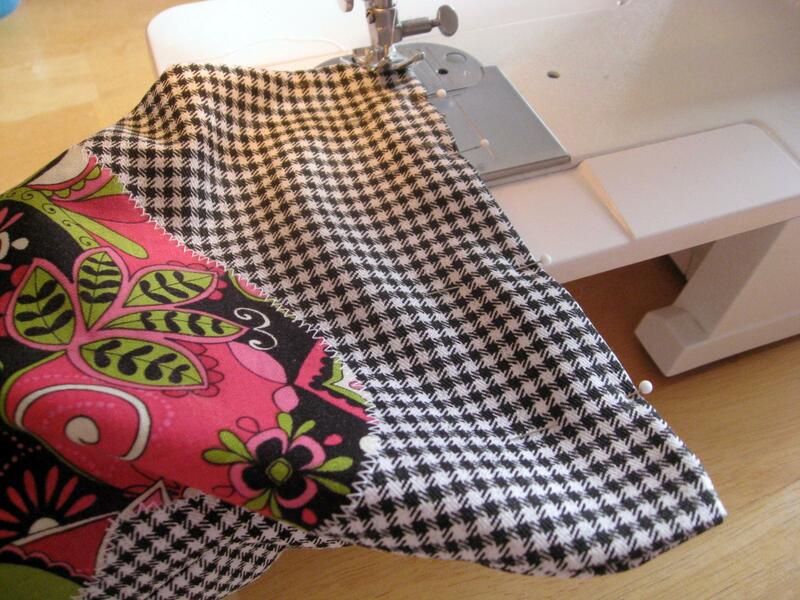 You can heat them up and use them as a seat warmer in your car on a cold winter day. Here’s how you can make your own. 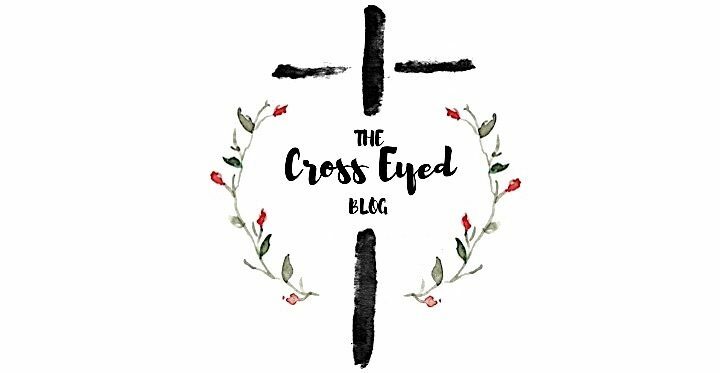 Invite a friend to help you and you can make them for your kids, friends, nieces, nephews, your spouse, or even yourself. 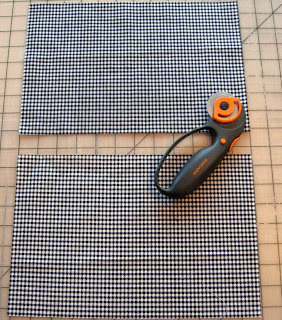 Cut 2 rectangles out of heavy fabric. We used the dimensions of 8 inches x 12 inches. This is an optional step, but the creative and fun part for me. 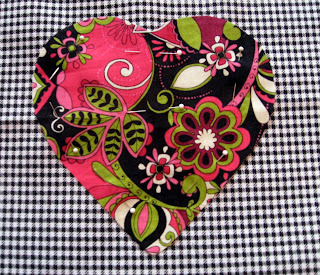 Pick out a fabric you like and cut it into a shape you like such as a heart, a cross, a star, etc. 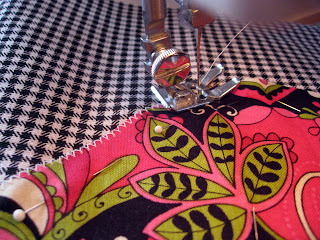 Center and pin the applique shape onto the right side of the fabric. 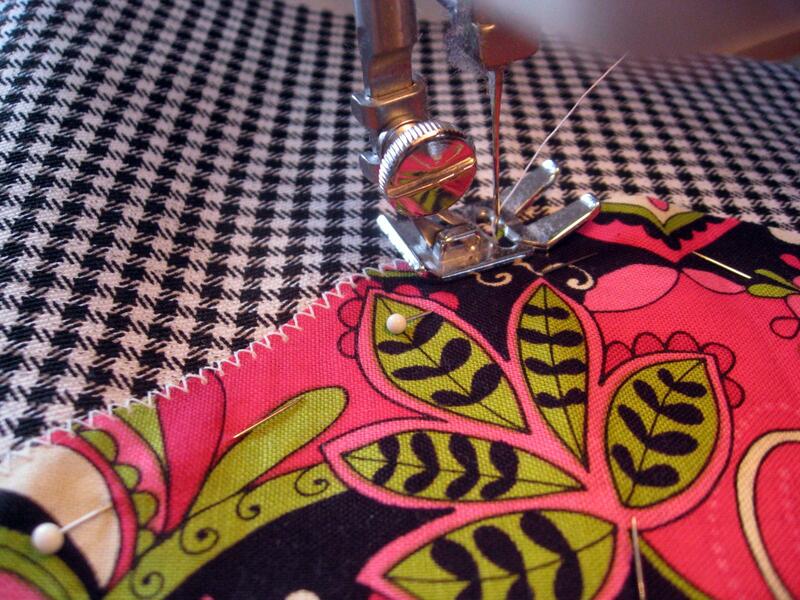 Sew around the outer edges of the applique using a zig zag stitch on your sewing machine. 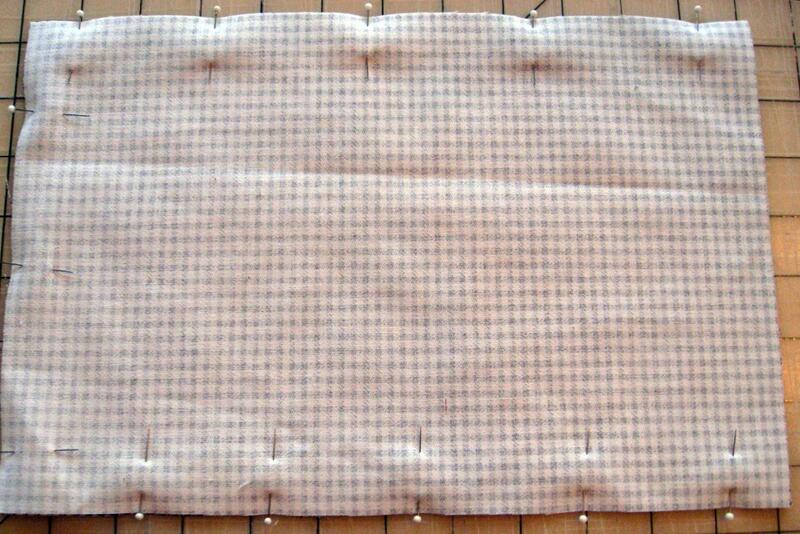 Line up your two rectangle fabric pieces with the right sides facing each other. 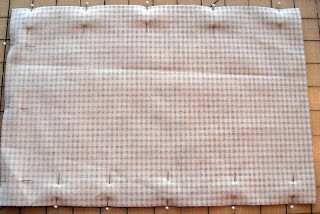 Pin with straight pins around the two long sides of the rectangle and one short side. Leave one short side unsewn to be able to fill the bag with corn. 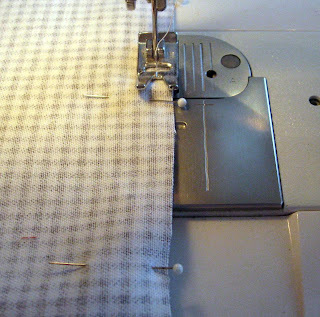 Sew with a straight stitch around one long side, one short side, and along the last long side. 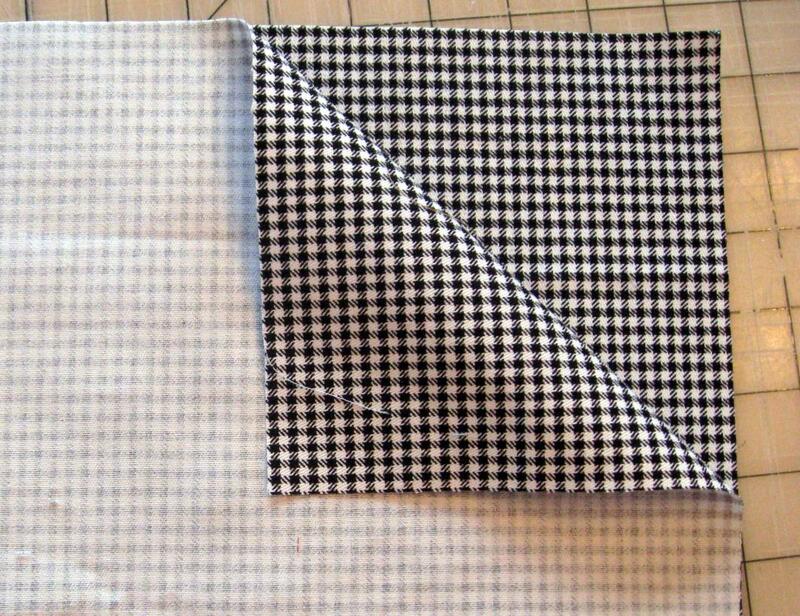 It is advised to make a second pass around the three sides in order to double stitch the bag and help the bag to last longer. It is going to get lots of use and you want it to last awhile, right? Turn the bag right side out and fill 1/2 to 3/4 of the way full. Try not to over fill your bag. 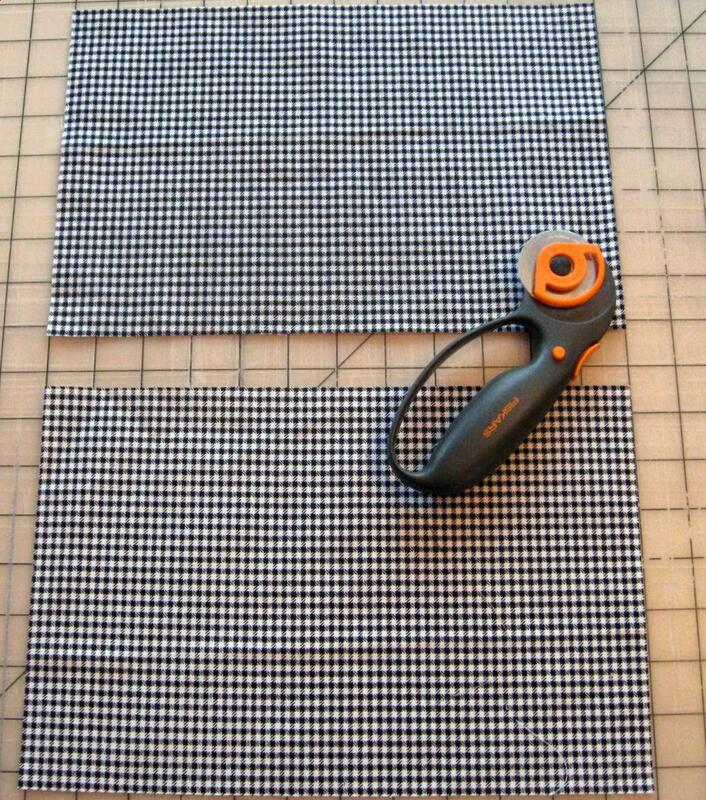 Remember to leave enough room to stitch your bag closed. At this point you can add two or three squirts of baby powder into the bag. You can also use cotton balls with scented oils on them. We used baby powder. This step is not necessary, but makes the bag smell nice in the beginning. I would not use the powder or the cotton balls if you are making the hot pad to warm your food. Roll the raw edges of fabric down into the bag about one inch and pin closed. 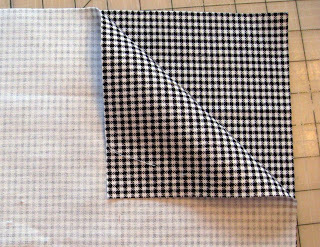 Double stitch closed the opening. 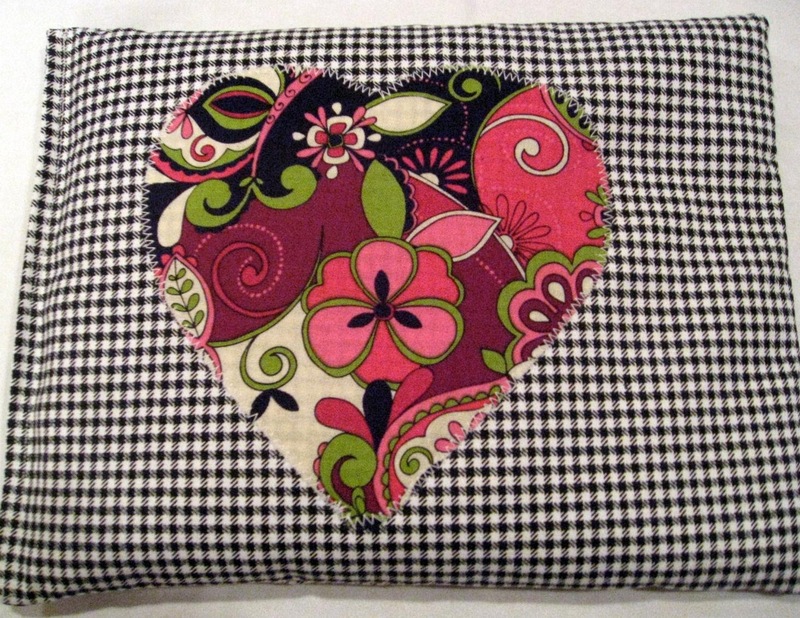 You now have a hot pad that is ready to use anytime you want it. Just stick it in the microwave for about 2 minutes. 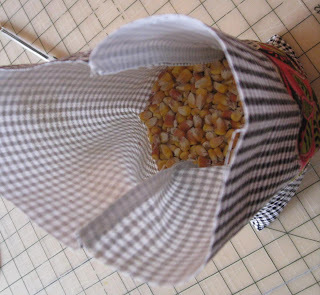 You will have to experiment with the amount of time since some people will make their bags with less corn and some will make it with more corn. Just be careful and don’t burn yourself. They are hot. That’s why they are called hot pads! 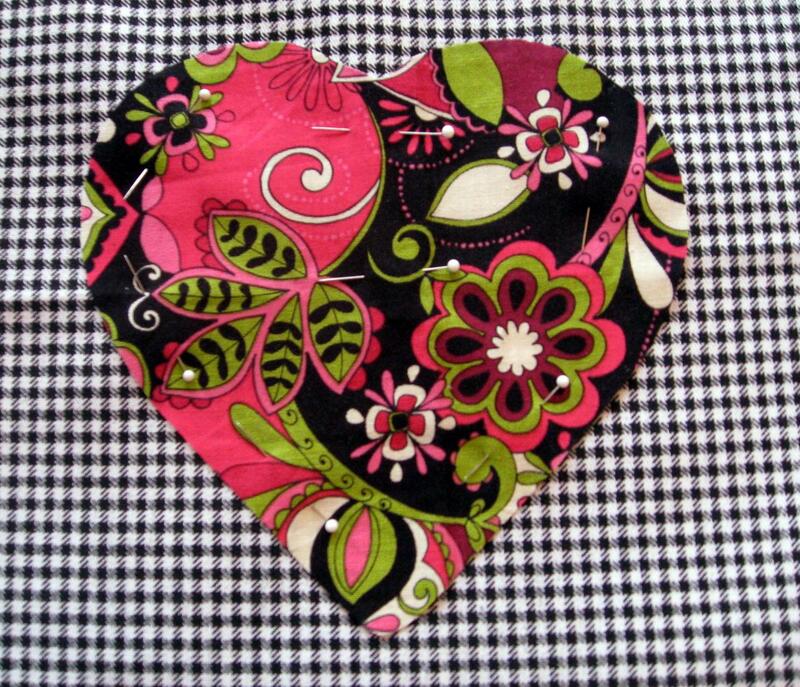 Madison made a pocket warmer (pun intended). 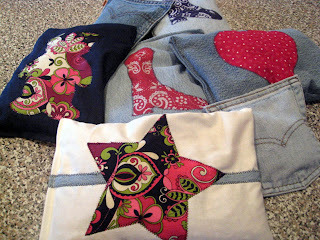 We used old jeans and cut out the pocket. 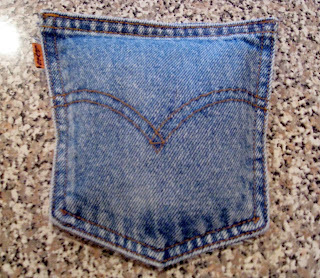 We filled the pocket with corn and double stitch closed the pocket. 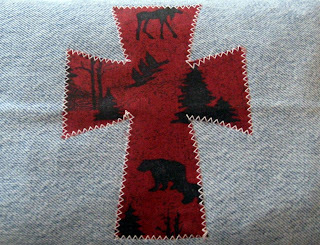 This would be a great size to warm up and put into your coat pocket if your kids walk to school on a cold day or go out to play in the snow. 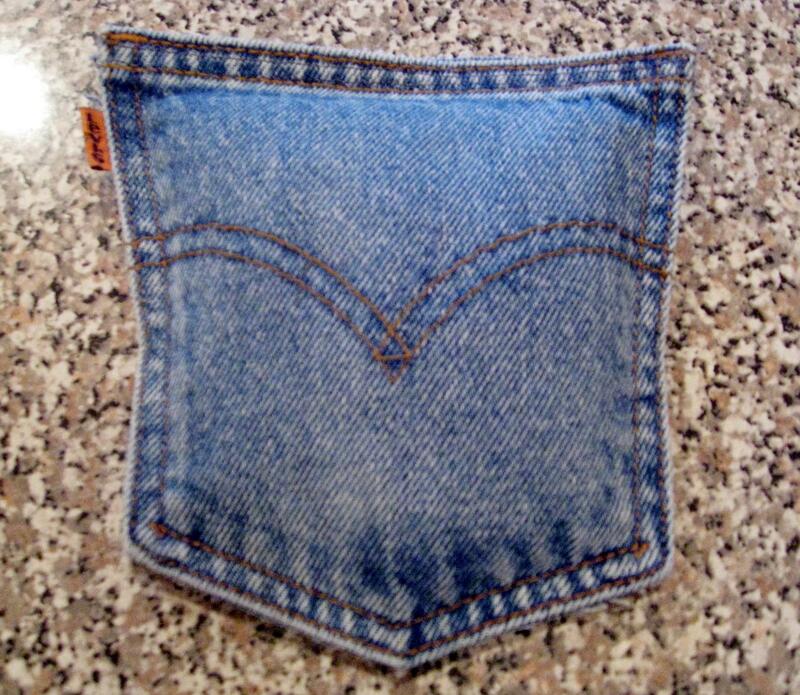 Make sure the pocket doesn’t have any rivets on it. Metal and microwaves do not mix! You are only limited by your imagination on this project. 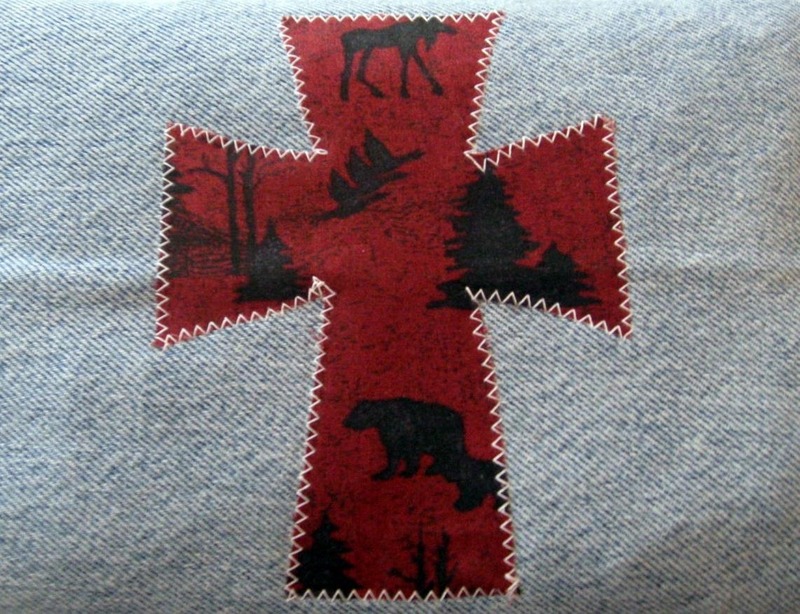 It was a great project to do during Christmas break when the kids were going stir crazy. It is always amazing to me how each person’s creation is so different. 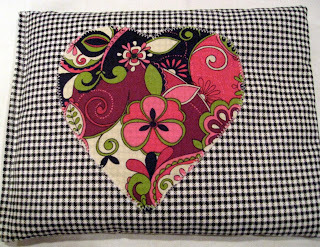 I hoping you will have a fun time with this project and create a hot pads tradition with your family and/or your friends.